Floral design carved into natural stone. 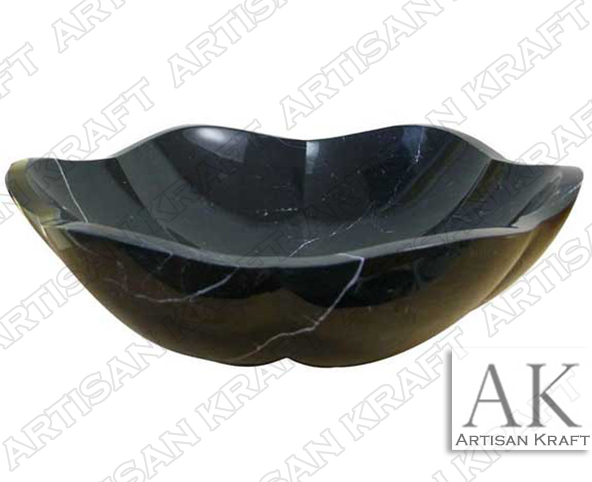 The flower petal shape sink is carved from the black forest marble. The simple curves and lines give the bathroom sink a specific look and feel. The smooth polished black marble gives a refined look. The color and design goes great with a double slipper bathtub.